The Indian automotive industry provides a lucrative proposition for investment. Automotive retailers form a critical aspect of the value chain since they are the single touch point, based on which customers perceive the brand and experience the product. 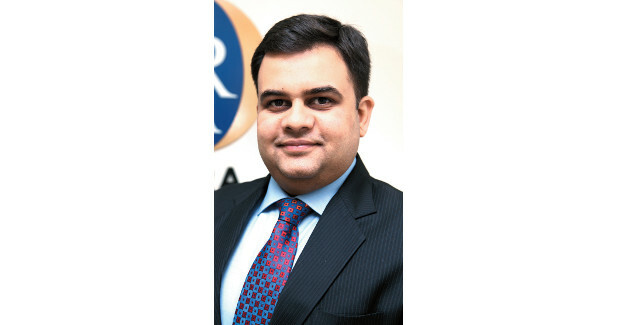 Vivek Chaturvedi aims to shed light on what may lie ahead for automotive retailers in India. The Indian automotive industry has consistently outperformed most developed markets in the last 5 years. In the year 2017-2018, India became the fourth largest automotive market in the world. This comes at a time when the global automotive industry is undergoing a three-way transformation where the product, the customer, and the sales channel are all evolving. The automotive industry has deeply embedded roots in manufacturing. This was the first industry to implement the assembly line and start robotic automation of processes in manufacturing plants. There are many technological advancements taking place which will impact the way cars are made in future. A phased implementation of Internet of things (IoT) and Industry 4.0 is redefining the way vehicles are produced. Increasing adoption of EVs will also have a significant impact on both, the demand and supply side of the automotive industry. The transition from the internal combustion engine to electric fuel cells and batteries will also have far reaching implications in the automotive components industry. This transition will entail some traditional components becoming obsolete and demand increasing for new raw materials required by modern technology. The consumer behaviour in the automotive industry has also undergone a significant change as customers today are more demanding, educated and aware of the products available in the market. While affluence and disposable incomes of the population is increasing, there is an inherent dilemma of ‘Ownership vs Usership’ rising among customers which may disrupt the demand for cars in future. Customers are increasingly adapting to ride-hailing services prevalent in most cities and are reconsidering vehicle purchase decisions. Manufacturers need to adapt their marketing and positioning strategies to address these changes and remain relevant in the minds of the customer. The retail side of the industry which includes representing the brand and being the single point of contact with customers is traditionally managed through automotive dealerships. The automotive retail business is slated to undergo changes with some manufacturers in India already starting e-dealerships and selling vehicles through e-commerce websites. While automotive retailers are still relevant in India, the change in buying behaviour and adoption of e-commerce in other industries is apparent. While these disruptions are underway, multiple factors make the Indian automotive industry a lucrative proposition for investment. Demographic factors such as increasing disposable income, low vehicle ownership per capita and high percentage of the population in the workforce, all signal towards healthy demand for passenger vehicles in the times to come. The outlook of global automotive companies towards India has also been positive as the Indian market is relatively untapped and offers an avenue for growth for these companies. Automotive retailers form a critical aspect of the value chain since they are the single touch point, based on which customers perceive the brand and experience the product. The functioning as well as the customer experience at these dealerships is carefully curated by OEMs who design robust systems and processes which standardizes each element of the business. This article aims to shed light on what may lie ahead for automotive retailers in India. To gain perspective on the current scenario, let’s understand the core construct of the automotive retail business in India. Entrepreneurial legacy of dealerships: Automotive retail businesses have traditionally been promoter driven entities where OEMs awarded dealerships to influential individuals who had the capital backing to setup the infrastructure and ensure availability of funding to carry sufficient stock of vehicles. The automotive retail business sector in India started taking shape with the launch of Maruti cars in India. The current pool of automotive retail business owners still represent the first or second generation of the entrepreneurs who has initially entered the industry. Now that the automotive industry is growing at a rapid pace, multiple avenues for business have opened up for the next generation of these business owners. Business owners who have accumulated capital by successfully running their business over the years are weighing their options when it comes to investment of their earnings. Succession planning and conflicting thoughts on the nature of the automotive retail business may drive investment of capital into non-automobile related industries. Capital heavy nature of business: Starting an automotive retail business involves the promoter investing a substantial amount of money which is required for building the infrastructure as per guidelines of the OEM. In addition to this initial setup cost, there are period costs such as rent, upkeep, maintenance, manpower and utility which comprise the fixed cost of dealerships. Breaking even is becoming difficult as the business model is designed to be sustainable only at certain volumes, and if the sales volume is not as expected, there is a risk of incurring huge inventory carrying cost which dents the overall profitability of the business. As manufacturers are battling for market share, more dealerships are being opened in tier one and tier two cities which leads to fragmentation of the market and uncertainty in volumes for the existing retailers. The advent of e-commerce and e-dealerships may add another dimension of competition for these automotive retailers in future. People, process and technology: Most automotive retail businesses have systems and processes which were traditionally designed to handle modest sales volumes. Volumes grew over time and businesses spread to multiple outlets at different locations. This led to difficulties in management and sub-optimal returns on investment due to lack of control mechanisms. The advancements in ERP and other technological changes which have taken place in other industries are still being integrated into automotive retail business operations. The fundamentals of the automotive retail business is still governed by guidelines of the OEMs, however as sales and the number of outlets increase, there is difficulty in scaling as the traditional businesses have been people driven and not process driven. Given the promising future of the automotive industry ahead, retail businesses can introspect on the potential available with them in terms of cost savings by becoming lean businesses as well as increasing revenue by optimising their revenue streams. In order to mitigate risks from fluctuations in sales volumes, automotive retail businesses can start focusing on their own brand and created an eco-system where customers are loyal to a dealership and the dealership is their trusted opinion leader for their next purchase decision. Automotive retail business owners can also invest in developing their manpower as trained manpower is scarce and the functioning of dealership operations is dependent on quality manpower. It is becoming common practice for automotive retail business to have in-house trainers as well as use the services of external training agencies to equip manpower with the right skillset. The Indian automotive industry is one of the fastest growing industries in the world. Macro-economic factors such as increasing disposable incomes, high percentage of the population in the working class and a growing economy point towards healthy growth for the segment in the times to come. Automotive retail businesses must go back to the drawing board and proactively evolve their business fundamentals to become future-ready and capitalise on the industry growth in the years to come. (With inputs from Jayant Chandra, Manager, PwC India). Vivek Chaturvedi is a Partner in PwC India and leads the Firm's Automotive Risk Assurance Practice nationally. With over 20 years of experience, Vivek is responsible for shaping the firm's vision and strategy for serving Automotive clients on their risk management and governance needs. As a thought leader, Vivek brings PwC's point of view to support clients across the automotive value-chain, including automakers, automotive component manufacturers and dealerships.